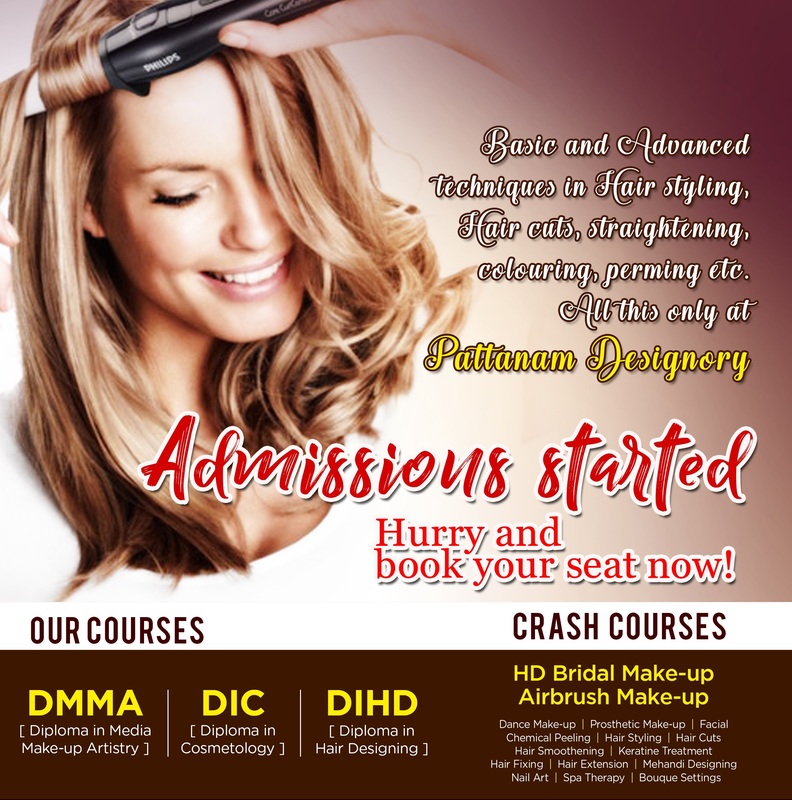 Learning is a never ending process.If you have an in-born aptitude and an intense passion for Make-up and Fashion Art,Pattanam Rasheed makeup Academy is an ideal choice for a good begining. When shifting to digital era, it has an important part for make-up art.A vital change is imperative New experiments are required.The aim is to have complete change in future time.Experiments and learning is the goal of the Academy. We produce talented professionals compete with international standards with excellent knowledge in Media Make up, Hair cutting & styling, Cosmetology and Spa Therapy with strong human values. To transform Media aspirants, Beauty and Fashion lovers into highly competent and socially committed make up professionals. The PATTANAM RASHEED Academy of Makeup & Fashion Art was established to fill a need in the industry with regards to the development and training of professional Makeup Artists. The philosophy of Academy is to provide students with a comprehensive and up to date course syllabus, access to the latest in tools and equipment, in a clean & modern training facilities .The PATTANAM RASHEED Academy of Makeup & Fashion Art was founded in Ernakulam and now has campus in Jawaharlal Nehru International stadium Kaloor Ernakulam Kerala. The Academy is an accredited, Registered Training Organisation with government. We are well renowned by the industry for our high educational standards and experienced facilitators and our graduates are well respected and sought after. Knowing the requirements of the fast growing makeup industry, our courses are developed with great attention to detail and incorporate effective and personalised training methods. They are designed to teach you the skills and techniques required to work as a professional Makeup Artist. All courses aim to produce multi-skilled and most sought after Makeup Artists, able to work in a variety of aspects of the industry. We offer courses ranging from crash courses, through to, Diploma Courses and our Industry related Advance Workshops specifically designed for the working professionals. You will leave the Academy confident and ready to work as a professional Makeup Artist - we guarantee this and will continue to support you until you are. In making your decision to train at the Academy of Makeup, you can rest assured that you are being trained by the industry best. Teachers at the Academy hold qualifications in Makeup Artistry, extensive industry experience and qualifications in training. They offer a wealth of experience to share with you and will give you the benefit of their skills, knowledge and industry connections as you learn the craft of Makeup. So whether you are joining us to begin your career, update your skills, learn the latest trends in beauty and makeup industry. We are confident that we can help you to achieve your goals. Our library and resource center comprises of a wide range of print and electronic books, newpapers, magazines, journals, artifacts and internet facilities to support the study, research, personal and professional development. We offers unique labs equipped with computer platforms for digital, printing, scanning and design facilities with full un interrupted internet access. Equipped with specialized digital image systems, the Photo and Video facilities at our Academy offers a host of advanced image captuing and post-capturing techniques. It facilitates the study of imaging a remarkable experience with advanced cameras, light and associated image-engineering platforms. We gives priority to outstation students and offers excellent hostel facilities with all basic amenties for both boys and girls seperately. We facilitates regular face to face interaction oppertunities for its student&apos;s withsome of the leading personalities from the film, fashion and advertising arena, as a part of its industry interaction programme.